Canberra is up for the first show of our EVOVLE tour! 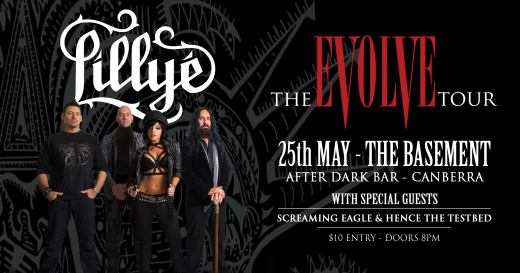 We will be playing at The Basement, The After Dark Room with special guests.. local lads Hence the Testbed and coastal boys, who joined us on the Gilby Clarke tour, Screaming Eagle. Tickets are just a mere $10 at the door with doors opening at 8pm.